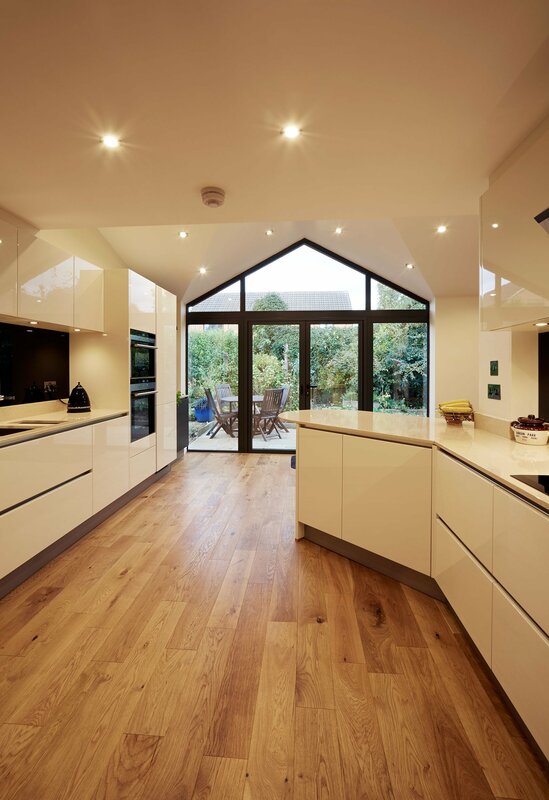 A designed extension linking two halves of the original house and involving a fair amount of internal remodelling to create beautiful kitchen space. A beautifully designed extension by architect Charles Pacey, linking the two halves of the original house and involving a fair amount of internal remodelling. 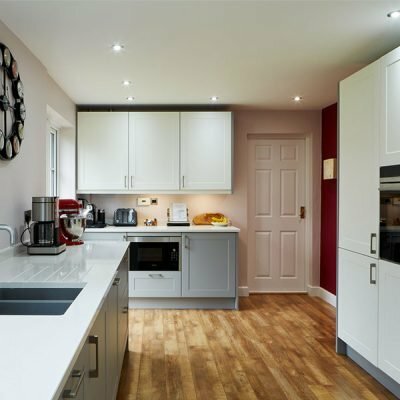 It required opening the old kitchen at the front of the house, through to the dining room at the rear and then into the extension. 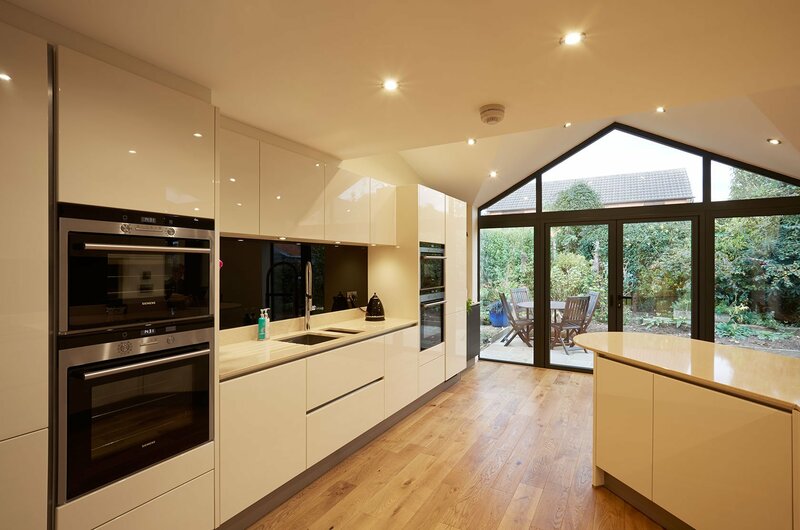 The clients wished to enjoy much better flow around the property, improving light and space yet still not feeling too open plan to the lounge. 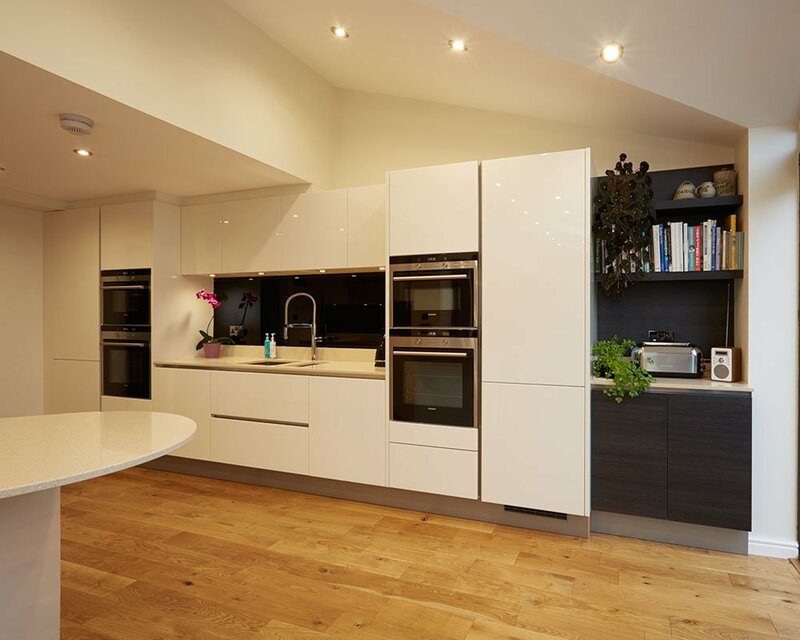 We used our software to help the client to visualise the whole ground floor space and to use the kitchen design to blend the old rooms into the extension. 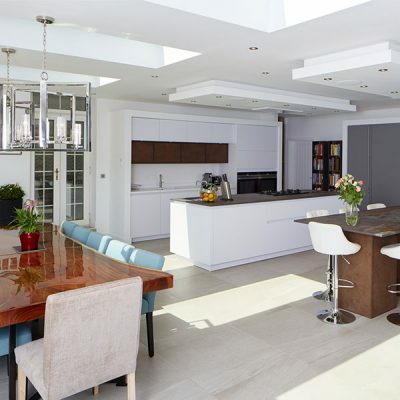 Very often when working from plans, the tendency is often to work within old wall boundary lines, so when appropriate, we like to pull the design through from old rooms to new, rather than redefine the original spaces. 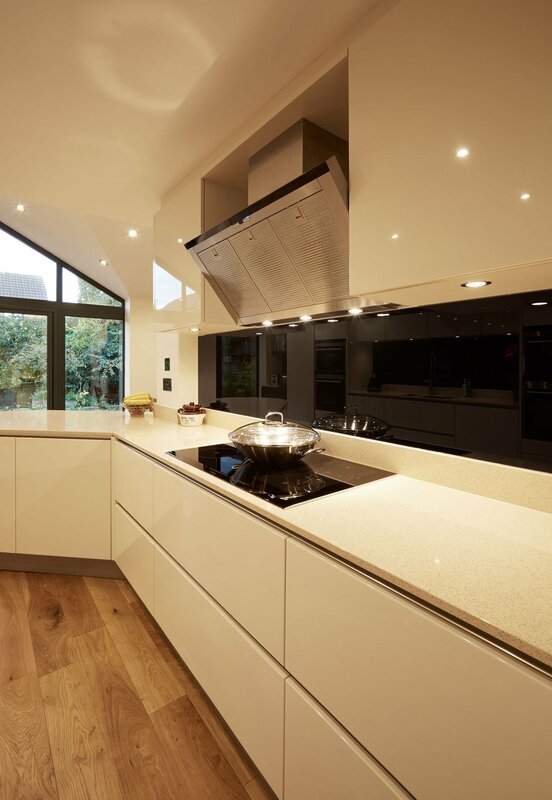 The clients are keen cooks and wanted to maximize natural light, a feeling of space and to have the choice as to where they’d prepare meals with a sociable orientation. 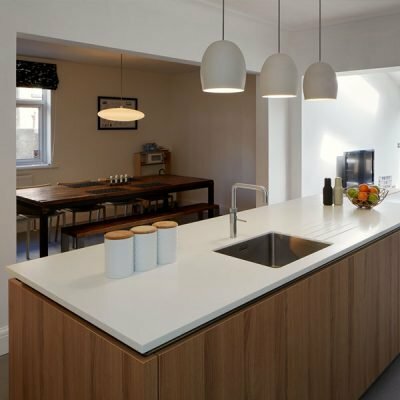 There was a ‘tug’ towards areas of symmetry within the design, which was achieved by changing the finish of practically required storage towards the glazed end, and so defined the symmetry of the sink area. 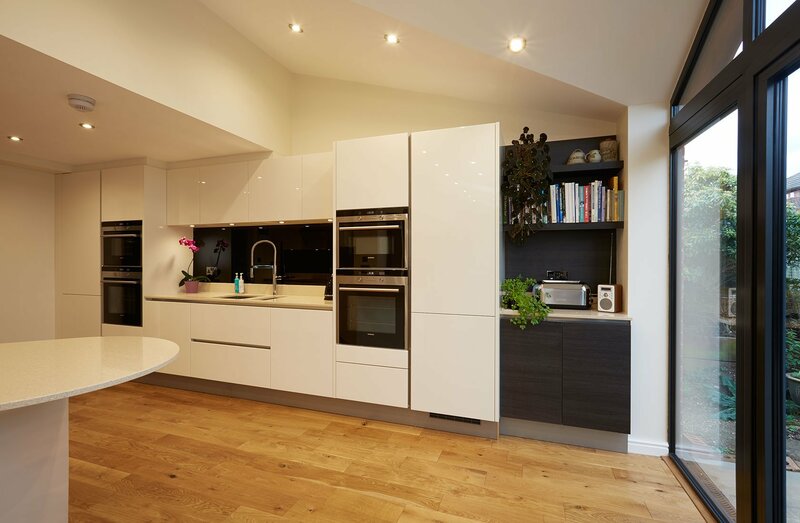 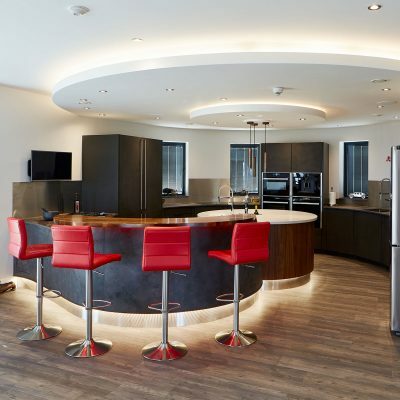 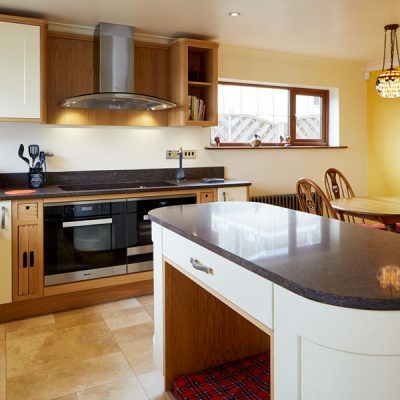 Tall units either side of the main wash zone, house carefully selected Siemens ovens and refrigeration whilst leaving the hob area opposite, clear to prepare, cook, plate & serve onto the angled peninsula nudging the kitchen conveniently towards the dining table. Silestone quartz for the working surfaces and Parapan backsplashes were chosen, to compliment the whole effect of light, bright, practical, reflective, warm and welcoming.